The following Case Study illustrates Investment Properties have equaled a very affordable Home for some savvy Investors. Income from Suites can make the difference of every owing real estate, especially in Vancouver and not having to pay rent. It is a number game, between the sell price of the property, down payment, available cash flow rental income from the property Suites and the mortgage obtained. This case study was done in the Spring of 1997 - 20 years ago! Below is a brief summary update regarding value performance for this property to 2017. Cash Flow Gain - Wealth Gain: This Wealth Gain does not include mortgage balance pay down by tenants/income, and the cash flow returns which would increase each year as rental rates increased. Given the decline in mortgage interest rates, it is possible that the entire mortgage balance of $195,000 would have been paid off if the original mortgage payment schedule was maintained. Current rental rates in this area indicate current monthly gross income in the range of $5,500/mo or over $66,000/yr, creating very high net cash flows to the Owner. 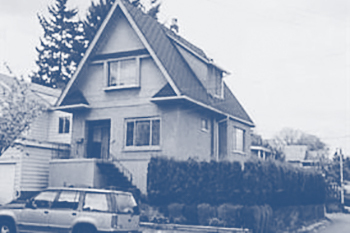 The Property: A small, 3 level triplex (legal duplex with unauthorized basement suite) in the Mount Pleasant area of Vancouver. The building is approx. 2100 sq.ft., with 3 X 1 bedroom suites on a 40’ x 66’ lot. The condition is good, as the owners had done renovations during their 4 years of ownership. The Revenue: The property generates rent of $1,750/month, with tenants paying heat and light. Taxes and expenses are roughly $350/mo. At closing, the house was delivered vacant. Area rents indicated that the monthly revenue should be Top floor: $1,100; Main floor: $1,500; Basement $1,550; Garage $250 = total of $4,400/mo or $52,800/yr. An expense ratio of 25% or $13,500/yr, gave Net Income = $3,300/mo or $39,600/yr. The Summary: If the property sold at $301,500, the net proceeds (after commission and mortgage balance) is $113,370. The internal rate of return to the investor for the 5 years (before tax) is 13.5%.